Hong Kong couple Sherri & Ken's beautiful pre-wedding photo session captured at the iconic London Tower Bridge at sunrise. The young couple traveled over from Hong Kong to marry at the Syon House but first - a pre wedding photo session on their wedding day. 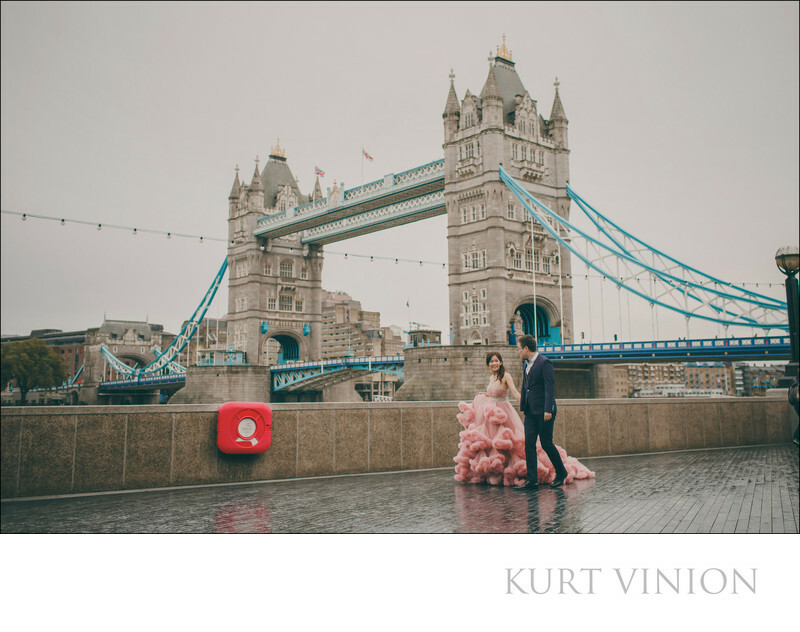 Keywords: London photographer (3), London Wedding Photography (141), Love Story (396), Photos (66), pink wedding dress (6), pre-wedding (12), rain (18), Tower Bridge (6).